By now you’ve probably heard of Fallout Shelter, which is a popular mobile game created by Bethesda for the iOS and Android platforms. In this game, you are in charge of a vault, which houses people, or Dwellers as they’re called in the game, in a post-apocalyptic setting. 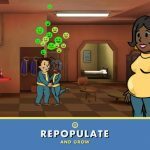 Throughout the course of the game you’ll be giving your Dwellers jobs, making sure they remain happy, and even having them mate with each other and create baby Dwellers that can then mature into adulthood. It is quite a complex, in-depth game, and while we’ve given you several strategy guides (how to build a dweller family, how to build the perfect vault, how to get unlimited bottle caps and lunchboxes, etc.) 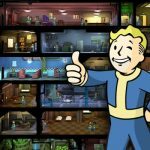 you may want to check out, we’re adding a bit of a twist now with this Fallout Shelter walkthrough to help beginner players get started. At the very start of Fallout Shelter, you’ll be walked through the process through a tutorial stage – you’ll be spoon-fed information on how to play the game and understand the terms used in it. 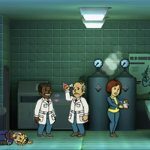 Speaking in general, though, there are some takeaways from Fallout Shelter that you should keep in mind each time you play it. First, you need to be aware that all rooms can be merged into one giant room, with a maximum space of three. Putting it simply, you shouldn’t prevent a would-be merge by combining all of the tutorial resource buildings adjacent to each other. Another essential you need to learn from the get-go is that you should assign all Dwellers to the correct room based on their special stats. The three basic stats to keep in mind are Power (S), Water (P), and Food (A). Also, you should make it a point to go to the Objectives tab for a list of quests you can undertake; completing quests, as we’ve said before, could give you a lunchbox as a reward. Think of the lunchbox as a card pack that could give you a variety of items, including more powerful weapons, more resources, and higher-level Dwellers. Lastly, we’ve got another vault management essential to remember – always make sure you’ve got enough food, water, and power to sustain your Dwellers. In the early goings of the game, your Dwellers will mostly be low-level characters, so this could make it tough for them as they explore the Wasteland for the first time. Still, it is possible to survive for a while even if you’ve got low-level Dwellers; for one, you can increase their Strength (for more damage), Endurance (for better survival skills), and Luck (more loot stumbled upon during explorations) through training them. As you progress in the game, you may also equip them accordingly once you’ve got the Med Bay and Science Lab. Specifically, it’s your luckiest Dwellers whom you should send off to the Wasteland for your initial foray. Sadly, they would likely be sacrificial lambs who may not survive for long, but then again, they’ll have a better chance of stumbling upon higher-end weapons and outfits. Still, it would help their cause if your exploring Dwellers have the best weapons and outfits you currently have. Make sure that your Dwellers are recalled before they die in the Wasteland; we’d suggest recalling them the moment they find something impressive out there. What Else Should You Know About Exploration? Actually, there is a lot you have to know about Dweller expeditions. For example, your exploring Dwellers won’t consume any food or water from your vault as long as they’re out. They’ll only do that once you click on Collect. Remember this as we say it’s usually best to send Dwellers out to explore if your Vault’s economy is far from being healthy. Also, Dwellers who die on an exploration trip can be revived provided you have enough bottle caps – still, we recommend only reviving those who have better stats than the majority of your Dwellers. The primary takeaway from Raiders and RadRoaches is that they tend to be more powerful based on the number of rooms you have built in your vault. Raiders are able to brandish weapons, while RadRoaches are large cockroach-esque creatures that, like their tiny, real-life counterparts, are very hard to dispose of. To reduce the chances of a RadRoach or Raider attack, you may want to perform regular front door upgrades. You should also have an ample supply of powerful weapons; un-equip them and equip them on any Dweller who’s being attacked by either the Raiders or the roaches. And when a Dweller’s life is running low, that’s when you can equip them with Stimpaks, which we’ll be exploring further in the tip below. What Are Stimpaks And Radaways? Earlier we told you about the Med Bay and the Science Lab. These are two important buildings run by Intelligence, and they’re behind the items your Dwellers will use should they need some “medication.” The Med Bay is behind Stimpak manufacture – a Stimpak is sort of like this game’s health kit, as it restores HP (hit points) once you use it on a Dweller. RadAways, on the other hand, are created in the Science Lab, and they heal Dwellers’ Radiation Damage, which you’ll see measured by the red HP bar. Outfit your strongest Dwellers (based on their weapon) with some Stimpaks and RadAways and you should be relatively good. Once you’ve got the basics of resource manufacture down pat, and kept in mind that it is important to keep upgrading weapons or buying newer ones, you’ll be able to create training buildings for Special (all-caps in the game as “SPECIAL”) stats. Your Game Room will become accessible at this point – create it as it can help boost a Dwellers’ bottle cap generation rate. This is just one of the more complex rooms that you can build in Fallout Shelter, though there are also a few others.